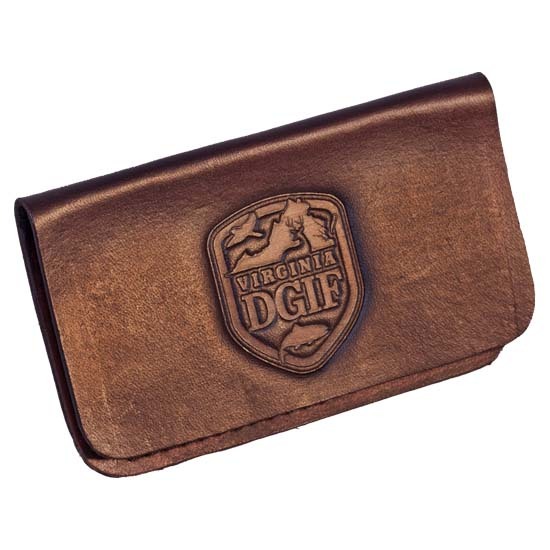 Hand-stained, hand-shaped and hand-crafted leather card holder for you personal or professional needs. 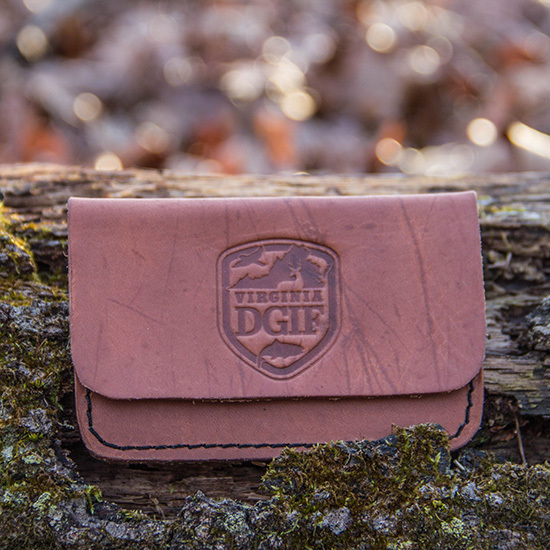 Made locally in Virginia using 4 ounces of vegetable tan leather. Tucks in the shirt pocket or back pocket - you choose the item to carry and then off you go! And it's branded with the new DGIF logo which tells your story of supporting conservation!